Commercial Director, VERDE LED and Paul Martin COO of VERDE LED, pictured at the SEAI Energy Show, on Thursday, March 28th, announcing the launch of a €5 million fund they now have available for customers to finance their energy efficient lighting solutions. Picture Conor McCabe Photography. 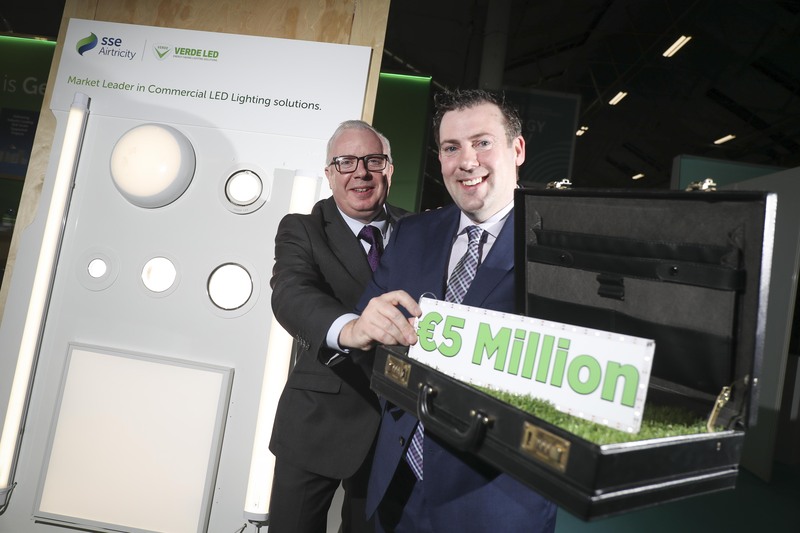 VERDE LED, a Cork headquartered, leading Irish manufacturer of commercial energy saving LED lighting solutions, has announced details of a €5 million fund they now have available for customers to finance their energy efficient lighting needs. The announcement was made at this year’s SEAI Energy Show, held at the RDS, Dublin 4, on Thursday 28th of March – where VERDE LED shared a stand with partners, SSE Airtricity.